Hooray for Chef's new Spring salads! Hooray for Chef’s new Spring salads! We are so excited to share the latest seasonal changes with our Spring Menu. Chef’s unique and fresh daily salads use the best seasonal plant-based ingredients. 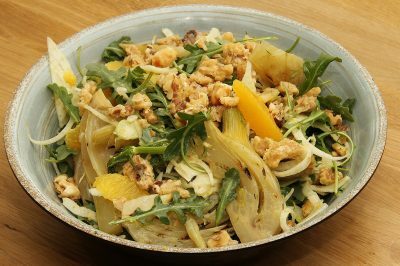 A zesty roasted citrus fennel salad with the sweet contrast of candied walnuts. 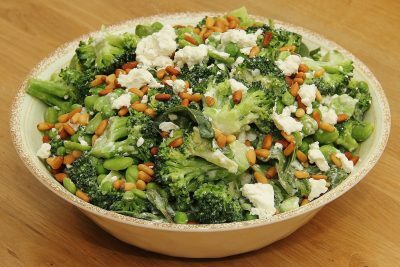 Fresh florets of spring broccoli served with broad beans, peas and a minty dressing balanced by salty Feta cheese. 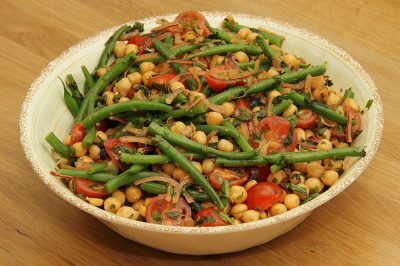 A gentle green bean and chickpea salad contrasting beautifully with tomatoes and a tangy Italian gremolata of parsley, mint, garlic and preserved lemons, sprinkled with Nigella seeds. 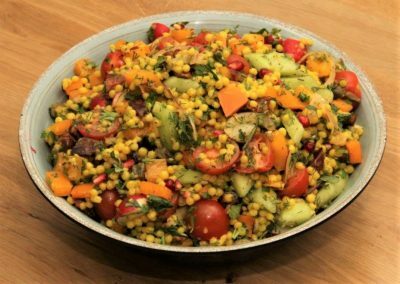 The exotic flavours of Persia, with za’atar spices over a giant cous cous salad with a selection of fresh spring vegetables, dressed with a dark ruby pomegranate molasses to give it an uplifting tang. 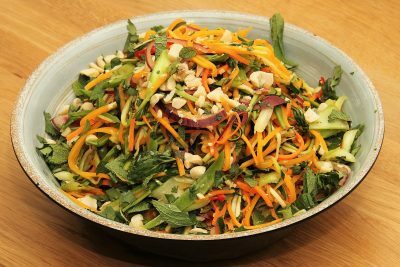 And the Far Eastern taste of Thai butternut squash combined with courgette, carrots and onions offset with a lime, ginger and peanut dressing. 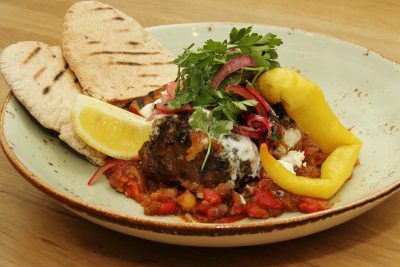 Our new Spring main course is packed with colours and flavours – freshly grilled lamb kofta, accompanied by a bright ragout of aubergine, cannellini bean and roasted peppers, harissa-spiced squash and served with tahini yoghurt, salty feta and a grilled pita. And to round it all off, we’ve discovered we are simply nutty about nuts! 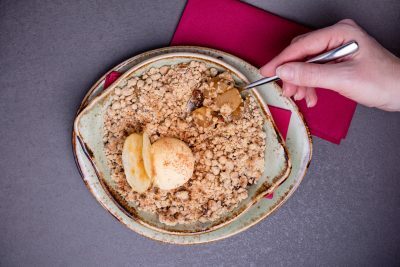 Taste for yourself with our daily oat, almond, hazelnut and macadamia nut ‘Crumble of the day’, including the delicious lightly spiced apple and pear, served with a healthy scoop of clotted cream ice cream. Discover our latest Spring menu additions – why not book your table at The Grange today? Registered charity in England and Wales no. 293358 and in Scotland no. SC040486.